Order the Best Quality Crush Sheer Voile Yards in 3 different colors. Picture Taken: Bottom of Picture, actual Fabric Folded Several Times to Depict its True Tone of Color. 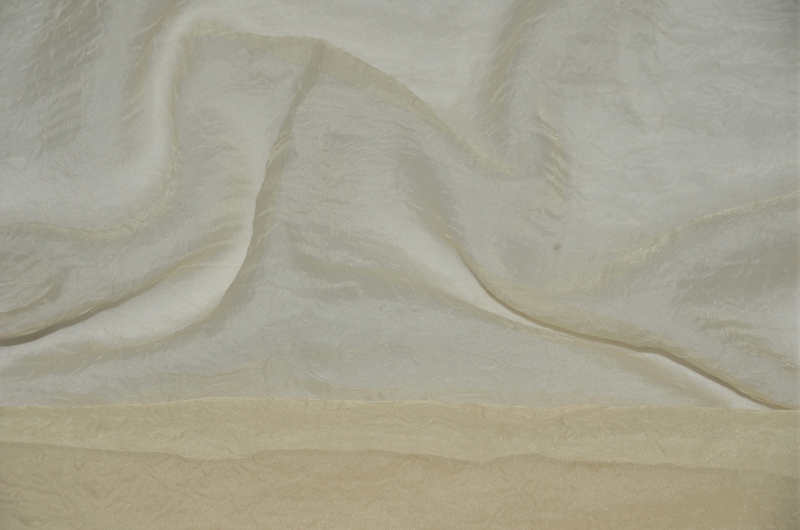 Top Side of Picture portrays the fabric being used in its own natural single layer form. The More one Pleats this fabric, the more the color shows itself. Picture of the Crush Sheer Voile was taken over a basic Polyester Linen Fabric. 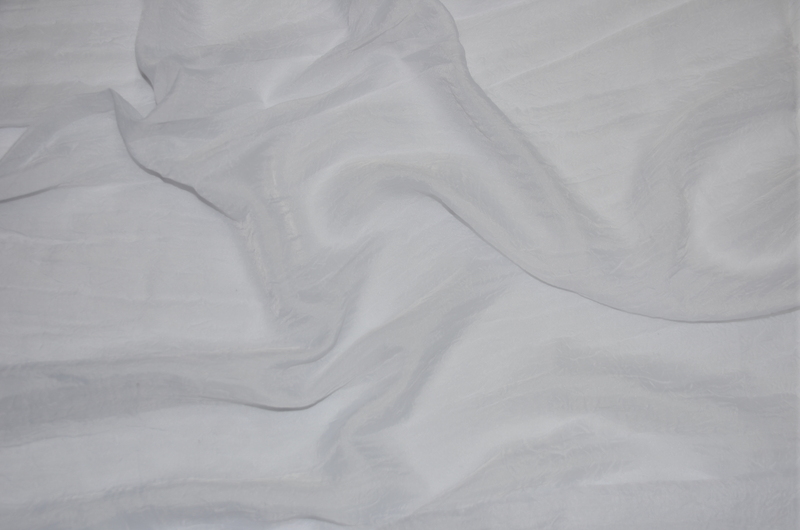 Fabric Description: Crush Sheer Voile is a great draping fabric. Crush Sheer Voile is a basic Organza/Chiffon Blend with a great hand feel. Easily used to Décor with, Create Pipe n Drapery; in particular for larger rooms since its 108” wide. 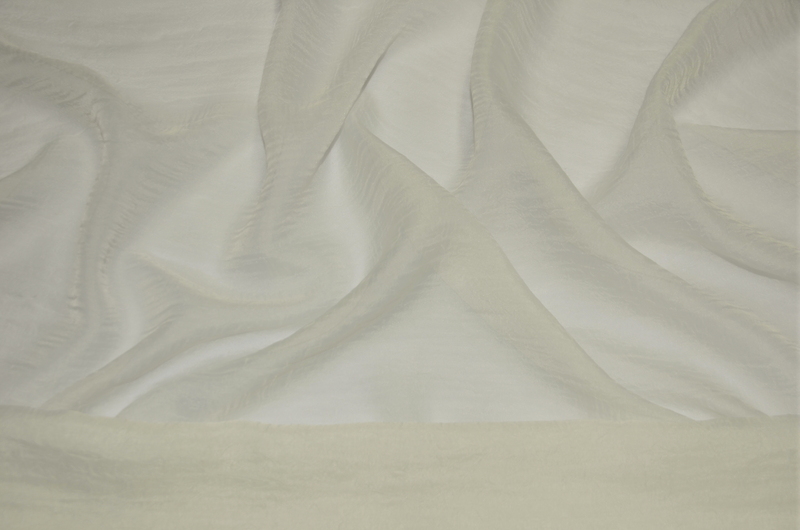 This fabric is used well for homes, events, and other draping needs. Fabric can be FR treated. This fabric does not come FR. Fabric Weight: Lightweight and Sheer fabric. Great Hand Feel. Colors: More colors available, do not limit us to our pictures online. Contact us via email, chat with us or call a representative for more information. Minimum: Roll size is sold by the 120 yards by the bolt. No Minimum Yardage when Fabric is sold by the Yard. We will strive to give you continuous one piece yardage. Although sometimes this is not possible due to restraints in roles or items shipped from our suppliers as is. Continuous yardage is not guaranteed or accepted as a valid reason for return or discount. Placing Orders: Please contact a sales associate via our contact us page, chat online, or direct phone number. We always suggest prewashing the linens before use. The Golden Rule to this suggest when you prewash fabrics, be consistent. For example, either prewash all your fabrics, or do not prewash at all. Crush Sheer Voile is machine washable. Wash on cool, gentle, no bleach. This Voile should be cleaned in a tumble type washer on a cool, gentle cycle. We always suggest dry cleaning to preserve fabric life-cycle. © 2012 Ben Textiles, Inc. All Rights Reserved.